A boy with autism fidgets as he struggles to stay focused and calm in class. Down the hall, a girl with Asperger's Syndrome bolts from the class when her anxiety gets to be too much. Are these behaviors just a part of autism spectrum disorder, or do these children have another psychiatric condition? Does it matter? Some researchers believe that conditions such as Attention Deficit Hyperactivity Disorder (ADHD), anxiety disorder, Obsessive Compulsive Disorder (OCD) and depression are "under-recognized" in youth with autism, which, in turn, "hampers clinical care and treatment. "1 After all, how can you treat what you don't diagnose? The new diagnostic manual, published in 2013, acknowledges that most people with autism have psychiatric symptoms that are separate from autism itself. About 70 percent of them "may have" another mental disorder and 40 percent "may have two or more" such disorders, according to the fifth edition of the American Psychiatric Association's Diagnostic and Statistical Manual of Mental Disorders, or DSM-5.9 That manual, sometimes called the psychiatrists' "bible," urges doctors to diagnose ADHD, anxiety, depression and other co-morbid conditions in people with autism when appropriate. A co-morbid condition is one that occurs along with autism. A study of 112 children with ASD found that 70 percent of them had at least one other diagnosis and 41 percent had two or more, including social anxiety disorder, ADHD and oppositional defiant disorder (ODD).10 People with ODD have a pattern of angry or irritable moods, defiant behavior or vindictiveness. Having a child with more than one disorder presents special challenges to families, according to several parents who participated in the Simons Simplex Collection autism research project. In interviews, several said their children with autism spectrum disorder also have conditions such as OCD, anxiety, bipolar disorder or ADHD. One mother, whose teenage son has ADHD and autism, said it can be hard teasing apart which condition is causing which symptoms. "I have a hard time deciphering which is which, the ADHD or autism," she said. One thing of which she is certain, "Without the ADHD medication, his aggression is difficult to manage." Having a second diagnosis can lead to better, more effective treatment for the children, said parents in the Simons project. There are medications and therapies proven to work in both OCD and ADHD, for example. Kriston Norris, whose family was profiled in "Learning to Adapt," said her son with autism was helped by OCD treatments after receiving an OCD diagnosis. She also sought help from his school after learning her son also has OCD. Knowledge of a second diagnosis can help teachers craft an Individualized Education Program (IEP) or school accommodations that address all of a student's needs, not just the main symptoms of autism. For some parents, the pursuit of another diagnosis led to new insights into their child's challenges. Her son's bipolar disorder falls into the general category of mood disorder, along with depression. Mood disorders are not uncommon in autism. Neither is medication use. A study of 1,605 children in the Simons Simplex project found that two out of five had used psychiatric medication, primarily ADHD drugs, antidepressants and "mood stablizers. "12 Mood stabilizers include antipsychotic drugs, seizure medicine and lithium, which is often used to treat bipolar disorder. Paul H. Lipkin M.D., director of IAN, welcomes the changes in how children are diagnosed and treated. “While children with autism spectrum disorders share common social, behavioral, and communication difficulties, some have other developmental or behavioral problems that are not part of this diagnosis. With DSM-5, ASD is now considered distinct from these other conditions. This not only better highlights the individuality and special needs of each child or adult with ASD; it also allows family and professionals to target a person’s difficulties with more specific and, we hope, better therapies and medical treatments,” he said. Does your child with autism have another psychiatric diagnosis? Take ournonscientific poll. Joshi, G., Petty, C., Wozniak, J., Henin, A., Fried, R., Galdo, M., Kotarski, M., Walls, S. & Biederman, J. (2010) The heavy burden of psychiatric comorbidity in youth with autism spectrum disorders: a large comparative study of a psychiatrically referred population. J Autism Dev Disord. 2010 Nov;40(11):1361-70. Viewabstract. Matson, J.L. & Nebel-Schwalm, M.S. (2007) Comorbid psychopathology with autism spectrum disorder in children: An overview. Research in Developmental Disabilities 28 (2007) 341-352. Viewabstract. Leyfer, O.T., Folstein, S.E., Bacalman, S., et al. (2006) Comorbid psychiatric disorders in children with autism: Interview development and rates of disorders. Journal of Autism and Developmental Disorders. 2006;36:849-861. Viewabstract. Ghaziuddin, M., Ghaziuddin, N. & Greden, J. (2002) Depression in persons with autism: Implications for research and clinical care. Journal of Autism and Developmental Disorders. 2002;32:299-306. Viewabstract. Ghaziuddin, M. & Greden, J. (1998) Depression in children with autism/pervasive developmental disorders: A case-control family history study. Journal of Autism and Developmental Disorders. 1998;28:111-115. Viewabstract. Wozniak, J., Biederman, J., Faraone, S.V., et al. (1997) Mania in children with pervasive developmental disorder revisited. Journal of the American Academy of Child and Adolescent Psychiatry. 1997;36:1552-60. Viewabstract. Muris, P., Steerneman, P., Merckelbach, H., Holdrinet, I. & Meesters, C. (1998) Comorbid anxiety symptoms in children with pervasive developmental disorders. Journal of Anxiety Disorders. 1998;12:387-393. Viewabstract. Simonoff, E., Pickles, A., Charman, T., Chandler, S., Loucas, T. & Baird, G. (2008) Psychiatric disorders in children with autism spectrum disorders: prevalence, comorbidity, and associated factors in a population-derived sample. J Am Acad Child Adolesc Psychiatry. 2008 Aug;47(8):921-9. Viewabstract. Mire, S.S., Nowell, K.P., Kubiszyn, T. & Goin-Kochel, R.P. (2013) Psychotropic medication use among children with autism spectrum disorders within the Simons Simplex Collection: Are core features of autism spectrum disorder related? Autism. 2013 Sep 26. Viewabstract. Ming, X., Brimacombe, M., Chaaban, J., Zimmerman-Bier, B. & Wagner, G.C. 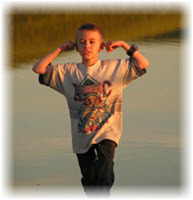 (2008) Autism spectrum disorders: concurrent clinical disorders. J Child Neurol. 2008 Jan;23(1):6-13. Viewabstract. Rosenberg, R.E., Kaufmann, W.E., Law, J.K. & Law, P.A. (2011) Parent Report of Community Psychiatric Comorbid Diagnoses in Autism Spectrum Disorders. Autism Res Treat. 2011; 2011: 405849. Viewabstract.